AHPRA requiers RN from overseas to produce a copy of their certificate of employment. They will ask you to have you certificate with your employers logo, name, address and contact number if possible. In the content, there should be a statement stating ig you worked full-time, part-time or casual and for how many hours in a year, month or weeks. 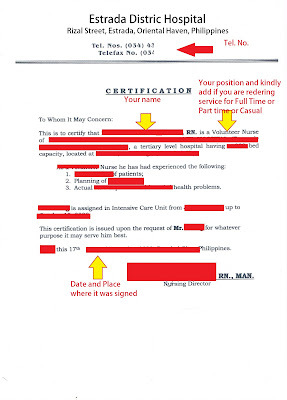 Below you will find an example of an employment certificate. Click to enlarge. 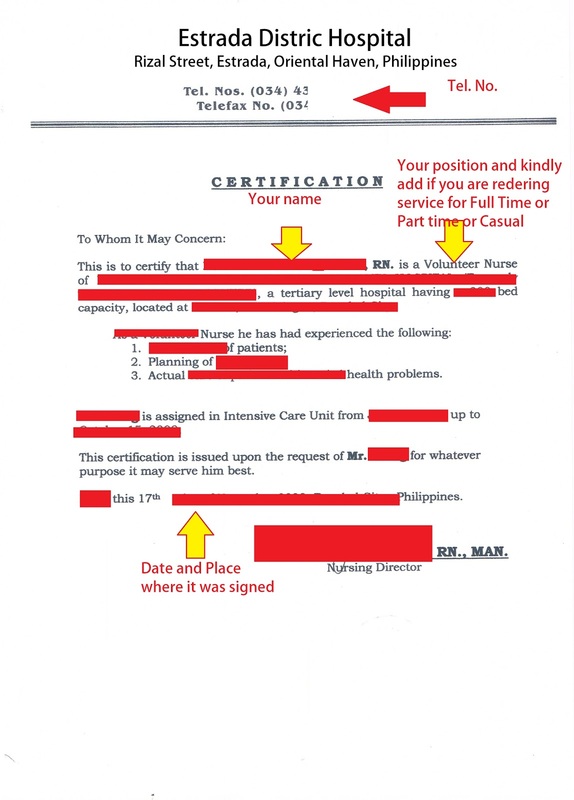 Please note that some of the health institution where you have worked may have different way of making their own certificate.